While there is no actual “fountain of youth” your lifestyle can make a significant difference when it comes to health and wellness as you age. Those birthdays are going to come every year whether you like it or not, but, growing older doesn’t have to mean becoming ill and feeble. 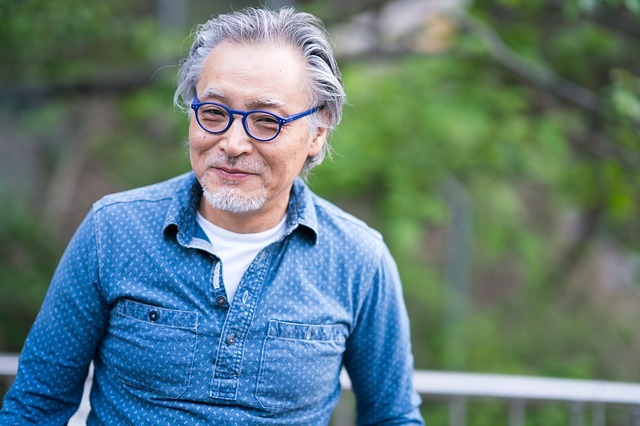 Following these five steps for healthy aging is a great way to increase the odds of enjoying a higher quality, happier and healthier life while reducing the risk of chronic disease. Staying hydrated is a must for keeping your body’s organs and various systems functioning as they should, and it also helps your skin stay younger looking too. When you’re dehydrated, it appears dull and older as a result, reflecting what’s going on inside. All our organs require a significant amount of water to function properly. When it’s lacking, every cell, organ and system throughout the body is forced to work harder, which means we age faster. Drinking enough water, therefore, keeps us looking and feeling younger longer on the inside and out. Aim to drink at least at least 64 ounces of water each day, and limit your consumption of alcohol and caffeinated beverages, substances that are dehydrating. Processed foods, fast foods, soda, and similar “junk” are some of the worst things you can put into your body. They’re typically filled with many different types of potentially harmful ingredients like preservatives, artificial colors and sweeteners that our body doesn’t recognize. That leads to excess inflammation and a weaker immune system as you age. Inflammation is the root cause of a host of chronic disease, and it can also cause fatigue and a general lack of energy as well as other age-related issues. Soda, regular as well as diet, contains a substance known as phosphoric acid which adds flavor and makes the beverages remain shelf stable for longer periods of time, but it can interfere with the body’s ability to absorb calcium. Over time, bone health suffers, and osteoporosis may even set in. Aim to eat a diet filled with healthy, whole foods, including plenty of fresh produce to slow aging and keep your body functioning at its best. Skimping on sleep has a multitude of negative effects on the body and the mind. It impacts memory, cognitive performance, and it can even cause the skin to age faster. Most experts suggest getting seven to eight hours of shut-eye each night. Studies have found a lack of sleep raises blood pressure and reduces glucose tolerance, both of which raises the risk of artery damage. Heart attacks and strokes are twice as common among those who regularly sleep less than five hours per day, compared to those who get seven hours of sleep. Don’t forget to protect your vision – eyesight is important for a high quality of life at any age. Wearing sunglasses is essential for keeping ultraviolet light out of your eyes and away from the lids and the skin around them. Too much UV exposure over time can lead to all sorts of serious eye issues, including age-related macular degeneration, one of the most common causes of vision loss in people that are aged 50 and older. It can develop over time due to the breakdown of cells that are light sensitive in the retina. Consuming saffron for macular degeneration regularly is a great way to decrease your risk of developing it as well. Multiple studies have revealed that it contains important compounds like crocin, crocetin and carotenoids that are known to help protect the eye from those damaging, devastating effects. It’s well-known that getting regular exercise is one of the best things you can do for both body and mind. It reduces the risk of developing depression, chronic disease, and helps to prevent cognitive decline. By staying fit throughout your life, you’ll not only be able to continue normal daily tasks well into old age, but to continue to enjoy many of your favorite activities too.